"But I Still Really Wanna Be a Fireman..."
Did your mama always want you to become a lawyer? 64% of survey respondents with children in the household want their child to become a lawyer. Moms (55%) are more likely to be interested in having a lawyer as a son- or daughter-in-law than dads (38%). 80% of parents with household incomes of less than $25,000 per year said they’d like their child to become a lawyer, versus 54% of those with household incomes over $75,000. Despite all the bad press out there on declining opportunities in the legal sector, it's somehow reassuring to know that the naysayers are having only limited impact on the parental pressure sector. So kids of the world, decide for yourselves. But truth be told, law is a pretty good gig. Still. Always. My post @SlawTips today looks at the calls for technological modernization of Canada's court system. What are the likely features and implications of the eCourts of this possible, not-to-distant future? Assuming that it's not all just science fiction and that these changes really are coming, how can we begin to adapt and prepare - and advocate - for the innovations that may soon be upon us? Frankly, I was probaby a bit nicer about this topic in my SlawTips post than I needed to be - but Slaw (except for Mitch) is a much nicer place than Wise Law Blog, after all. To pull fewer punches, the delay in implementing these changes is inexcusable and embarrassing. This is not rocket science. All the necessary technologies exist and have existed for quite some time. Many American jurisdictions already have eCourt systems in place. Some Canadian courts, like the Supreme Court of Canada, are already well on the way in this regard. Other Ontario government services like land registry, corporate registration and corporate search are fully digitized and online. Yet these long-overdue civil justice reforms, despite numerous starts and stops over the last decade-plus, haven't moved forward an inch. The systematic failure to achieve digital court reform continues to be a direct cause of unnecessary litigation delays, lost and misplaced documents at courthouses and intolerable environmental waste. It makes the lives of lawyers, litigants, judges and all "stakeholders" (a word I'd like to banish from the English language) more difficult and stressful. And it continues to cost our clients money they can't afford. Crowdsourcing your views for upcoming #lawTechCamp talk: What is the top priority improvement required in Ontario court technology? Do You Know What It Takes to Be a Law Firm Leader? Who's to blame for juror no-shows: 'Sad generation' or broken system? Required reading for lawyers-to-be and recent grads alike. Is newly appointed DC Circuit judge Srinivasan destined for SCOTUS? 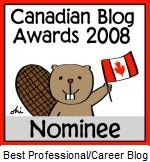 REMINDER: Toronto Law Blogger Meetup: Thursday May 23, 2013, 7:00 p.m. at P.J. O'Brien's Irish Pub, 39 Colborne Street, Toronto. 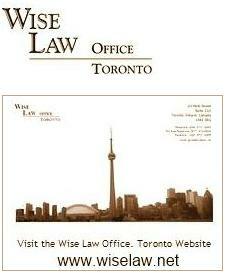 Hello again, Toronto law bloggers, tweeters, and other related enterprises and entities throughout this great nation! 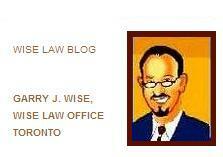 As discussed on Twitter, the next Toronto Law Blogger Meetup will be this Thursday May 23, 2013, 7:00 p.m. at P.J. O'Brien's Irish Pub, 39 Colborne Street, Toronto. A special welcome to those who will coming after the participating in the LSUC Solo and Small Firm Conference. While I was hoping that there might also be a hockey component to this event, unfortunately, due to unforeseen problems in the third period last Monday, the Toronto Maple Leafs won’t be able to join us. Please let me know if you are planning to attend, so we can arrange reservations. I`d also like to mention the upcoming LawTechCamp un-conference on Saturday June 8. I had a blast participating in 2012. Here`s this year`s program schedule, so have a look and do register ASAP. Private counsel appointed for children in Ontario mobility case? Mediating at a Distance: Will We Embrace the Challenge of Technology? Lawyer sanctions in Minnesota could set record; is economy a factor?